YouTube is undoubtedly one of the best places in which to enjoy videos and music. If you take a look at the top 10 most-watched YouTube videos of all-time, you probably shouldn’t be too surprised that they’re all overwhelmingly music videos. Maybe you have your reasons to download YouTube Video to MP3 or other audio formats, but get confused in a sea of YouTube music downloaders. 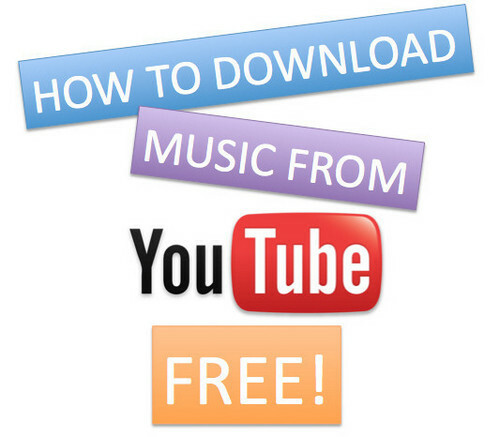 In following guide, we will list some YouTube to MP3 downloader programs in order of best to worst and show you how to download YouTube to mp3 for free. If you think we're missing a program that should have made it on the list, feel free to post it in the comments. 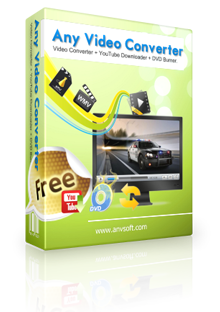 Any Video Converter is born as ultimate video converter for Mac and Windows users, which is also a great free online YouTube to MP3 converter. It allows you to download videos from video websites like YouTube, Facebook, Dailymotion, Vimeo, Metacafe, Howcast, Niconico and other 100+ sites. Now, it enables you to download YouTube Video to any audio format you want according to your devices as well. Enjoy High Efficiency Video Coding/ H.265 Video. How to Extract Music from YouTube Videos with Any Video Converter? Step 2: Launch AVC, click the small icon next to the " Add URL(s) " button and choose "Download Music Files ". Step 4: After parsing URL process, click " Start Download! " 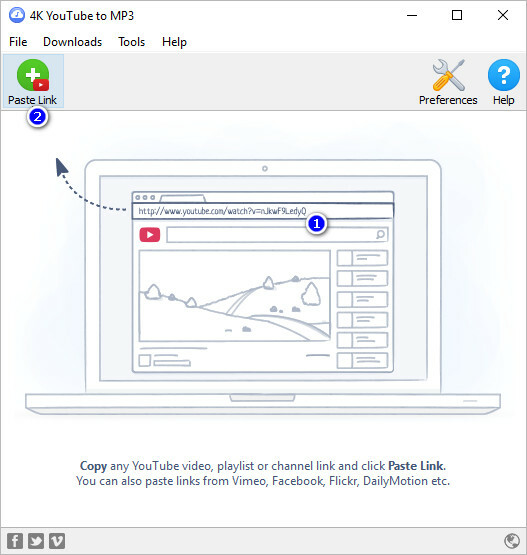 to download YouTube Video to audio or video files. 4K YouTube to MP3 was specifically created to extract audio from YouTube, Vimeo, Flickr or Facebook and save it in MP3, M4A, OGG; no ad traps here. It does what it advertises: grabs videos and downloads to plenty of formats. You can even use it to download an entire subscribed YouTube channel. The sites probably covers most of what you need. Download full YouTube playlists or channels and generate m3u files. Transfer downloaded tracks automatically into iTunes and upload them on your iPhone or iPod. Download audio books from YouTube. Extract audio tracks even from embedded in HTML page videos. PC, Mac or Linux version are available to download. How to Extract Music from YouTube Videos with 4K YouTube to MP3 Downloader? Step 1: Download and install 4K YouTube to MP3 Downloader on Mac OS X, Windows or Linux. Step 2: Copy the video URL from YouTube. Step 3: Press 'Paste Url' button in 4K YouTube to MP3 application. Step 4: After that, all you need is to wait until the download is completed. Freemake YouTube Mp3 Converter is also a free YouTube converter that converts videos from YouTube to other popular video and audio formats on Windows computer. Freemake supports over 200 different formats and converting a few soundtracks from YouTube in MP3 should be like a walk in the park. Freemake claims that a few of its features are unique - including integrated CUDA and DXVA technology that apparently converts videos faster while using less CPU resources. It's certainly one of the fastest YouTube converters on our list, but its speed will ultimately depend on the power of your PC. Search for YouTube music in the software by title, artist, album and tag. No need to go to YouTube and copy-paste links. Get top quality tracks. 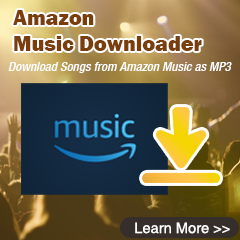 Free Youtube to MP3 Converter filters music from high to lower quality order. Step 1: Download, install & run Freemake Video Downloader. Search for YouTube music you want to get. Alternatively, you may paste YouTube URL in the search field and click "Search". 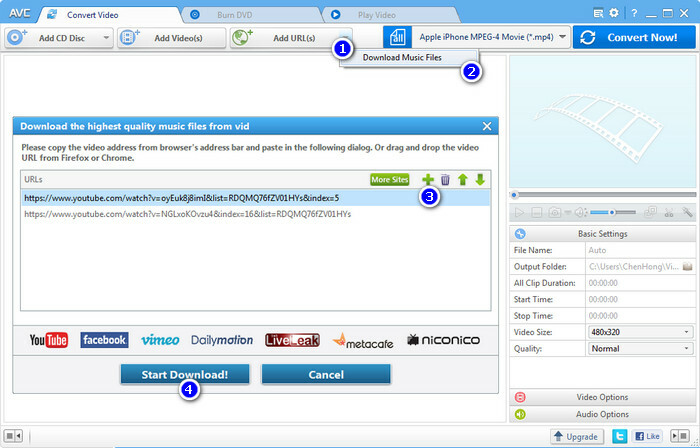 Step 2: Choose original video quality and action: "Only download" or "Convert" to MP3, AVI, MKV, etc. Click "Download" to start the process. Although there is no official app available for downloading YouTube to MP3 audio files, there are a bunch of free apps available to do this. The problem is, most of them don’t support all kinds of audio formats and some even take you much time to convert or download. If you need to extract music from YouTube no Ads and also want to edit the audio files, please give a try on Any Video Converter.